The Seattle-Tacoma-Bellevue metropolitan area is a tri-county area located within the Puget Sound region off the coast of the state of Washington. The greater Seattle area is comprised of three major counties, King County, Snohomish County, and Pierce county. Over half of The state of Washington's population live in the greater Seattle metro area. Seattle is the largest city within the metro area, and is one of the largest port cities on the West Coast. Seattle is one of the most literate cities in the country, and has the highest percentage of college graduates in the nation. 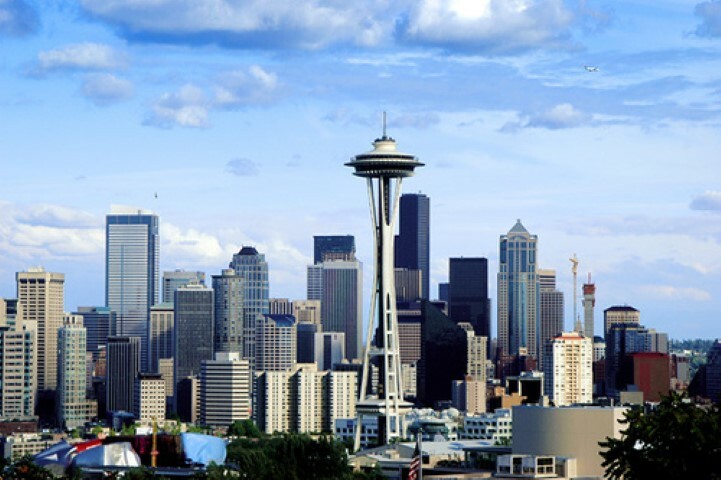 Seattle is one of the fastest growing major cities in America with about a 5% annual growth percentage. The largest ethnic group in Seattle are Asians. They make up 14.4% of the city's total population. Historically Seattle has had one of the largest Japanese populations in America, and the oldest Judo dojo is the Seattle Dojo located in the heart of the city. Seattle's 98118 zip code, in the Columbia city neighborhood, is considered to be one of the most diverse tabulation zip code areas in the country. Seattle has one of the largest Cambodian, as well as one of the largest Samoan communities in the nation. To get a closer look at the people groups that have settled in and around the greater Seattle area, go to Seattle-Tacoma-Bellevue, WA metropolitan area map. Seattle has been a significantly white city throughout its history. However, in recent years it has become more and more ethnically diverse. Not only does Seattle have one of the fastest growing populations among major cities in the United States, it also has one of the fastest growing foreign-born populations as well. In the past ten years Seattle's foreign-born population has increased by over 40%, and over half of its foreign-born residents arrived after the year 2000. The large bulk of immigrants that are coming to Seattle are coming from Asian countries. Approximately 40% of all immigrants arriving in Seattle are from east, and southeast Asia. Many immigrants are moving to Seattle from mainland China, as well as the Philippines, Korea, Japan, and Vietnam. Seattle also has one of the top ten populations in the United States from each of those previously mentioned countries. The fact that Seattle is a west coast port and has a growing technology industry contributes greatly to this influx of immigrants. Seattle Demographics- a good website to help get a sense of the demographic makeup of Seattle. Seattle Community Network- a hub that will help connect you to the different ethnic communities in the greater Seattle area.